This custom 3536+/- Sq Ft log cabin sits among majestic oak trees with a magnificent view of the York Mountain appellation. 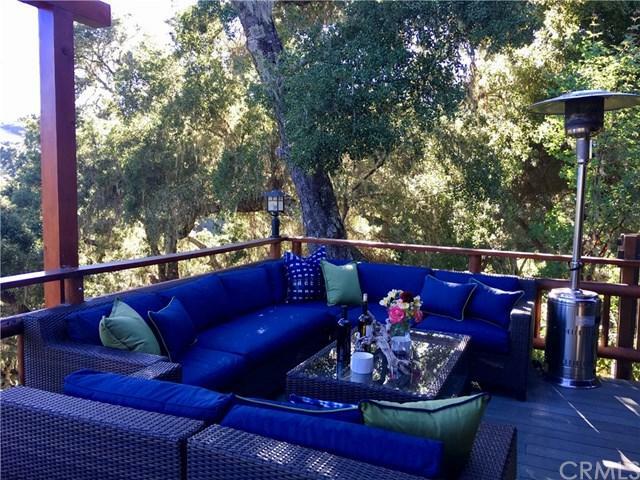 As you enter this magical property, you drive through a nicely maintained oak forest, cross a bridge over a running creek, continue past the lap pool, hot tub, bocce ball court, amazing gardens, pond and gazebo and up to the beautiful setting. There are paths to meander through and explore all over with an abundance of wildlife and fruitful gardens to enjoy. The home has a wrap aroun This custom 3536+/- Sq Ft log cabin sits among majestic oak trees with a magnificent view of the York Mountain appellation. 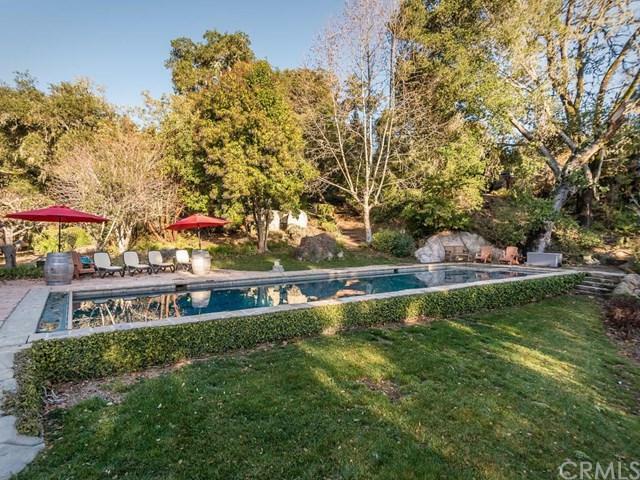 As you enter this magical property, you drive through a nicely maintained oak forest, cross a bridge over a running creek, continue past the lap pool, hot tub, bocce ball court, amazing gardens, pond and gazebo and up to the beautiful setting. There are paths to meander through and explore all over with an abundance of wildlife and fruitful gardens to enjoy. 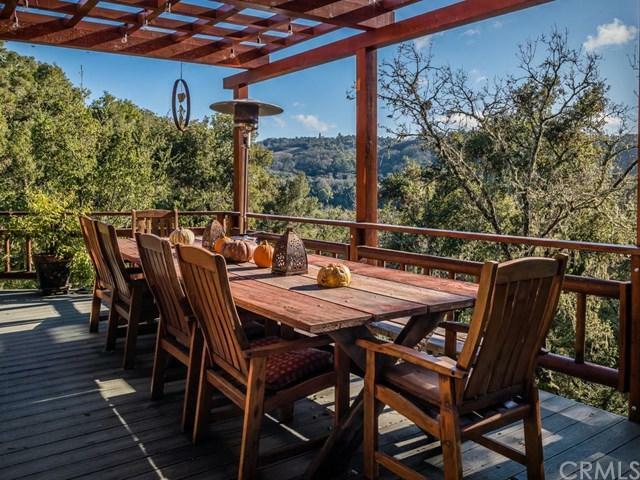 The home has a wrap around deck, overhang and patio space to sit outside and relax or entertain and take in the breathtaking views. The home itself has been updated to a designer's delight and yet is comfortable and welcoming at the same time. This property has been loved by the owners and guests who visit. 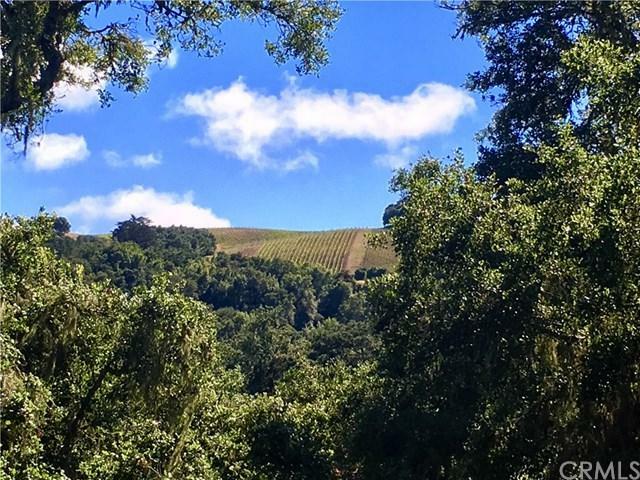 Situated just a few minutes from award winning Epoch Winery, only 10 minutes to downtown Paso Robles, and 20 minutes to Cambria. Tranquility awaits you at "Logs" retreat.